Clover Sonoma is teaming up with Oliver’s Market, Conscious Kitchen, Greenleaf SF & well-known Sonoma County Chefs to create a holistic program that teaches fifth graders the importance of nutrition, food labeling, supporting environmentally conscious food systems & cooking for yourself. The Conscious Kitchen Junior Cooking Challenge is an exciting new educational program being put together by local food system advocators. Sonoma County Chefs are volunteering their time to mentor and educate fifth graders from McKinley Elementary School in Petaluma on how to prepare food and cook highly nutritious meals; inspiring them to focus on Fresh, Local, Organic, Seasonal & Non-GMO (FLOSN) ingredients. In addition to this, the students will be exposed to lesson plans created by Conscious Kitchen that can be integrated into the classroom curriculum. The program will then culminate in a competition between eight student teams, who will be paired with their chef mentor and tasked with creating a fresh, local, organic meal for a panel of judges. 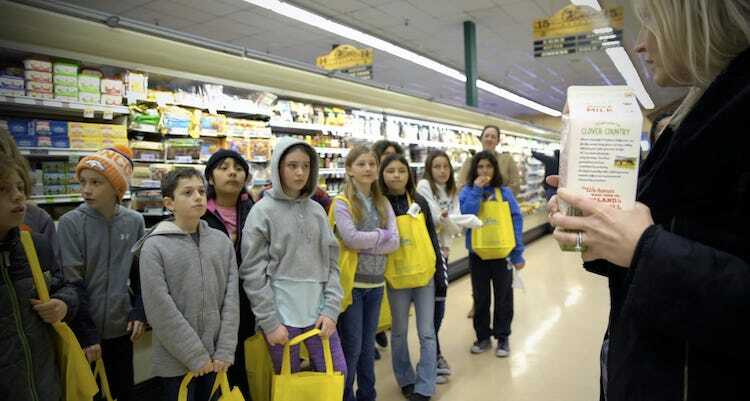 There will be a series of four field trips that will compliment their curriculum around organic farming practices, food labeling, what to look for when shopping for healthy ingredients, and how to prepare a nutritionally balanced meal. They will visit a local farm to learn about environmentally conscious farming practices & animal welfare, their assigned Chef’s local restaurant to learn kitchen skills first hand, Oliver’s Market to gain understanding of food labeling & finally a Farmer’s Market to learn about seasonal produce and how to identify FLOSN foods. This challenge culminates in a competition that will take place at the Culinary Institute of America at Greystone on Monday, April 22nd (Earth Day). There will be eight student teams who will be paired with their local farm-to-table chef and tasked with creating a fresh meal that could be served in a school setting. They will be asked to prep, cook, and plate their recipes to a panel of Influential community leaders and judges in front of parents, teachers and community members in Food Network’s Junior Chef style.